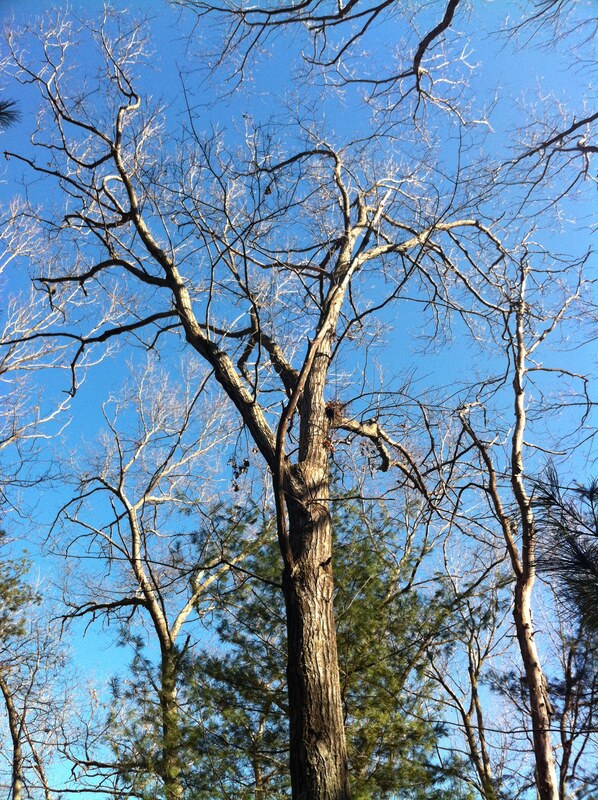 On a recent walk in woods behind Harmony Center, I feel drawn to stop and commune with a beautiful oak tree. I admire its strong trunk and look up into its branches. Noticing some broken limbs, I wonder what trauma could have caused such damage. A snowstorm? A Nor’easter? And when might that have happened? Observing one branch, I note its position about half way up the trunk. Judging by the size of the tree, I suspect that this damage occurred about 50 or so years ago. Sitting on the ground, I reflect on the relationship between growing and healing. Despite being hurt, the tree continued to grow. It first sealed off its wound, and then resumed growing. I stand and approach the tree. Wrapping my arms around its trunk, I sense its deep rootedness, its inner strength, its tenacity and fortitude. After absorbing these sensations, I step back, clasp my hands against my heart, and bow my head in gratitude for Oak’s important lesson. Despite its shorn limb, Oak continued to grow. What a beautifully, simple, simply true post this is!